The programs till 2007 included; 1) "Earth PIKAPIKA Grand Prize" for the environmental beautification activity which was given to groups led mainly by elementary school children, and 2) "Washing-hands Sticker Contest" which was to collect designs from various elementary schools and distribute stickers with winning designs back to elementary schools in the country. 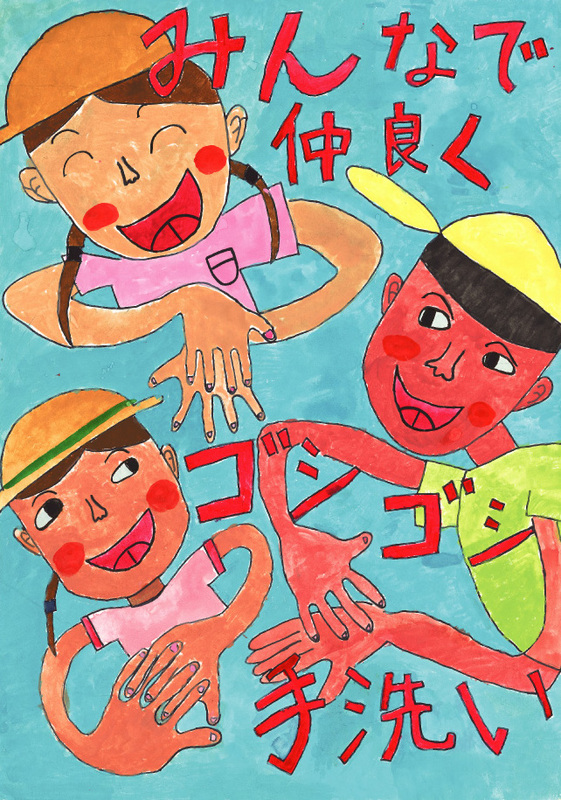 These programs were concluded in 2008, and a new program, "Wash-Hands-For-Clean-Hands Poster Contest", began 2009 for children in the elementary school or under. Copyright(c) Japan Soap and Detergent Association 2018 All Rights Reserved.